Keeping in contact with your event staff is critical to a smooth running event. Placing rental radios in the hands of your staff can help expedite guest check in, handle minor emergencies, help with lost guest and general everyday issues. This not only allows for a faster resolution but a more pleasant experience for the event goer. Parking is another great opportunity to increase efficiency by using rental radios. Quickly and easily maneuver vehicles and deal with potential problems. This not only increases efficiency but also safety. Securing your event or job site is always a tuff task. Using our rental radios can make this job easier and more efficient. 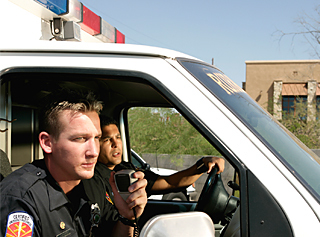 Quick and clear communication is the very same reasons law enforcement officers use two-way radios. 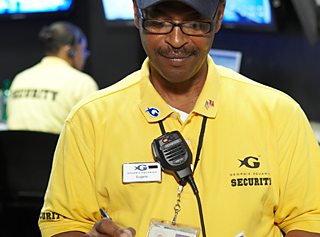 We have audio accessories to allow for a more covert security staff allowing them to more effectively complete their tasks. 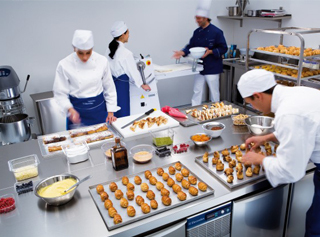 Keeping your kitchen staff up to date with the food and beverage demands of your event is critical. Your kitchen staff should spend more time preparing the food then running back and forth keeping an eye on food levels. Our rental radios eliminate the wasted time traveling between the kitchen and the serving area. This all translates to happy event goers. Responding to an emergency in a timely fashion is important when medical issues arise. Utilizing our rental radios for medical/ems services can drastically cut down the time it takes to notify your medical staff. Minutes can mean the difference between a simple treatment or a trip to the hospital. Often one of the most challenging aspects of any event is maintaining constant communication between your staff. Rental radios take the hassle out of it and provide a simple and effective means of communication. No need to buy any equipment or make sure you're licensed, we take care of that for you. We've got you covered whether your event is in one location or spans multiple cities. No event is too big or too small. And best of all our radios are easy to use and come with many options to customize them for your event. Contact one of our rental specialists to discuss how our rental radios can simplify and help improve your events efficiency. If you have a job that requires some additional help or your business is hosting an event, rental radios are the most affordable and simplest way to add much needed communication without the large upfront cost. 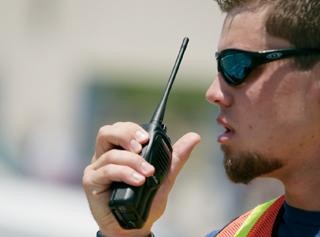 Adding security personnel to a job site is easy with rental radios. Allow them to keep in touch with one another providing a much more efficient security response. If you are a NexWave customer you can have these radios programmed for your talk groups or keep them separate. It’s your choice.